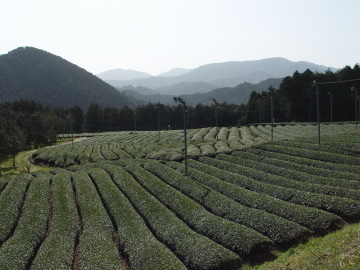 Odai-cho is famous for green tea. 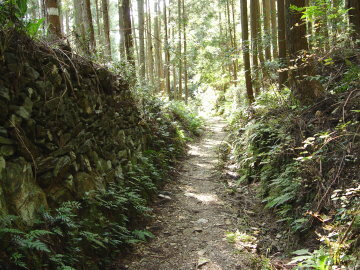 Along this trail there is much field of green tea tree. This photo is Takihara-jinja Shrine, which is located beside Miyagawa river. Formerly pilgrims cross the river by ship at Mise-no-watashi Ferry, and after visiting this shrine they went over Misesaka-toge Pass. 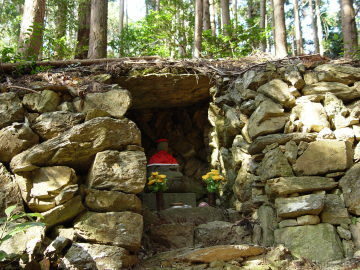 At the top of Misesaka-toge Pass, there is a stone statue of jizo, which sits in stone hut. 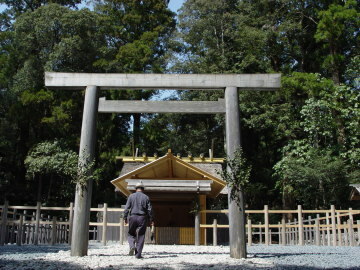 After going over Misesaka-toge Pass you get to Takihara-no-miya Shrine, which has strong connection to Ise-jingu Shrine. 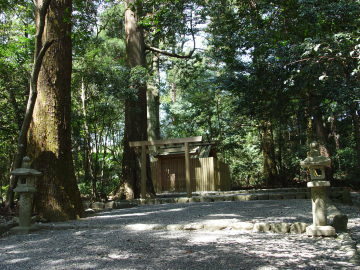 This shrine has big forest around buildings of shrine. 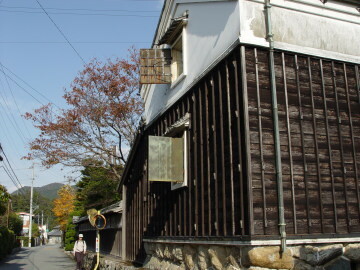 Around Takihara-no-miya Shrine, there are some beautiful and magnificent Japanese-style houses. 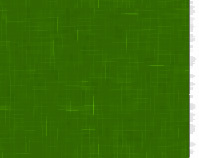 You should enjoy atmosphere of them.